Maybe it's not your REALITY, but it's MINE! 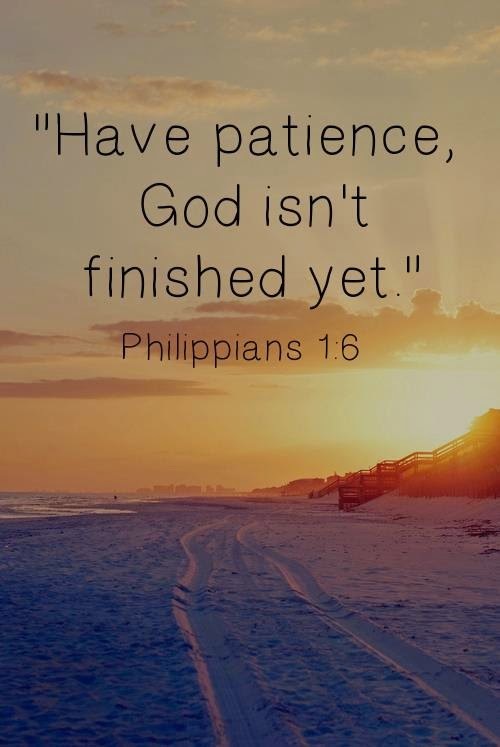 : Got Patience? I have had many lessons in patience. I was born graced with more patience than most people I know. Also like most people I know, I find as I get older my patience gets a little thinner. I have had to practice a lot of patience in my life. I have to admit though, I often feel that I have had more than my fair share of the testing of my patience. I can say for certain that I have grown and learned many lessons from practicing being patient. 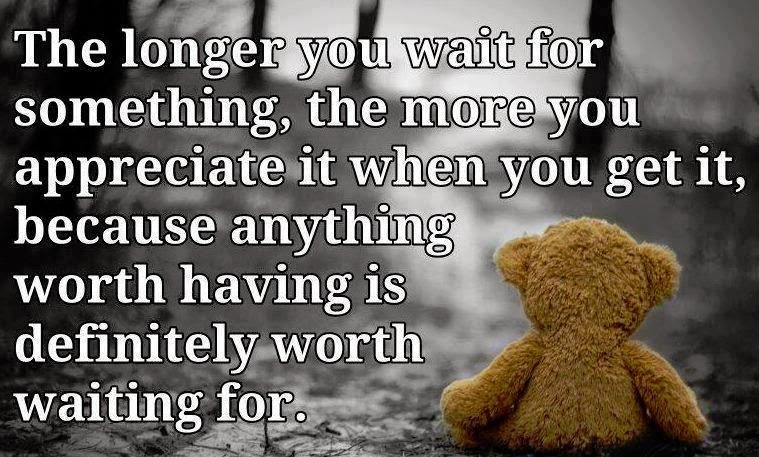 One of my favorite sayings is, "The longer you wait the better it is." I often use this when speaking to others about patience. I know in my life, the things I have really longed for, really prayed for and anxiously awaited for in anticipation... Those are the things that I really appreciated, really enjoyed and really cherished. These past few months I have seen a glimpse of a few of those things I had been patient for... Blue, our Seizure Service Dog's name being chosen and at last a dream came true was put in motion. come for a visit recently. Indeed, this was only the second time we actually "saw" each other. Over that four year period we had formed a friendship that was stronger than most of my lifelong friendships. It was as if we had known each other our whole lives... Our entire families gelled together like long lost cousins. It was amazing, to look back and know that this one of a kind friendship has to be a "God thing!" of place. He has it braced now and does daily excersises to try to get the kneecap back where it belongs. If it doesn't he will have to have surgery. The week Prior to her visit and the week of her visit the boys had their PET scans and MRI test done. Brett developed Petechiae a day or two after each test was done only on his forearms. I couldn't get answers from the Hospital nurses or Radiology staff and took him to two Doctors seeking answers. see at all. After increasing it back, he never fully regained control of that seizure type again for more than a few hours at a time. Just this week we finally were blessed with the amazing gift of love that we have wanted for two years now! The SAMi Monitors are here! not getting answers and the solutions to make these seizures stop. It was then that I realized, it's not just waiting... It's waiting knowing that it may never come. It's waiting, believing and hoping that it will come... and knowing that our Father is in control and at the right time, perhaps it too will come! Until then, I will keep practicing being patient and like Abigail... Just keep smiling and singing joyfully, knowing that it will come! When I feel the temptation to become inpatient, I think about the children of Israel. They were right there and bickered and complained so much they just stretched out their time waiting... I am amazed when I think about how far we have come. A year ago, I never would have thought we would have a Seizure Service Dog in training and Two SAMi Monitors! GOD IS GOOD! *Please be sure to note that the donation is for the "Epilepsy Warrior Boys" and let us know you donated! Hebrews 6:11-12 And we desire each one of you to show the same earnestness to have the full assurance of hope until the end, so that you may not be sluggish, but imitators of those who through faith and patience inherit the promises.